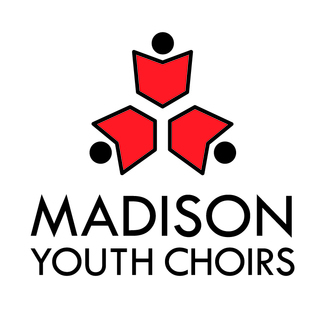 Welcome to the Madison Youth Choirs audition sign-up page! Both NEW and RETURNING singers can sign up for an audition here. NEW singers: Singers ages 10-18 are eligible to audition as long as they are entering at least 5th grade in the fall. Please note: the majority of rising 5th graders who audition are recommended to enroll in our introductory choir class before being placed in a performing choir. We still welcome you to audition to see where we would place you in our program. Nothing needs to be prepared in advance of the audition. Our conductors will hear you sing and get to know you. It's a low-stress, supportive environment; we want to find the place for you in our program where you'll be the most successful. Please enter ALL of the information requested. RETURNING MYC singers: You are eligible to audition if you are currently in Con Gioia AND entering at least 7th grade in the fall; currently in Capriccio AND entering at least 8th grade in the fall; or currently in Cantilena AND entering at least 10th grade in the fall. Choraliers and Cantabile singers should NOT sign up for an audition. Please provide parent name, parent email, singer's name, current grade, and birth date. ALL SINGERS: PLEASE SIGN UP FOR THE EARLIEST AVAILABLE TIME, LEAVING AS FEW EMPTY TIME SLOTS AS POSSIBLE. NEW singer entering at least 5th-8th grade in the fall or current eligible CON GIOIA singer auditioning for CAPRICCIO. NEW singer entering at least 9th grade or current CAPRICCIO singer auditioning for CANTILENA or current CANTILENA singer auditioning for CANTABILE.